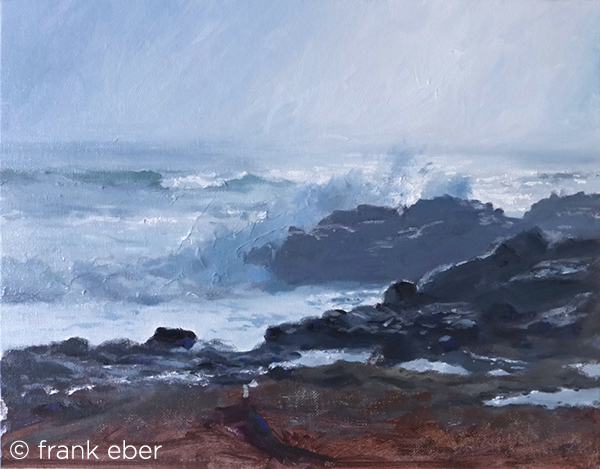 Leffingwell Landing, Cambria (2017) by Frank Eber. Oil on board. Through gallery.